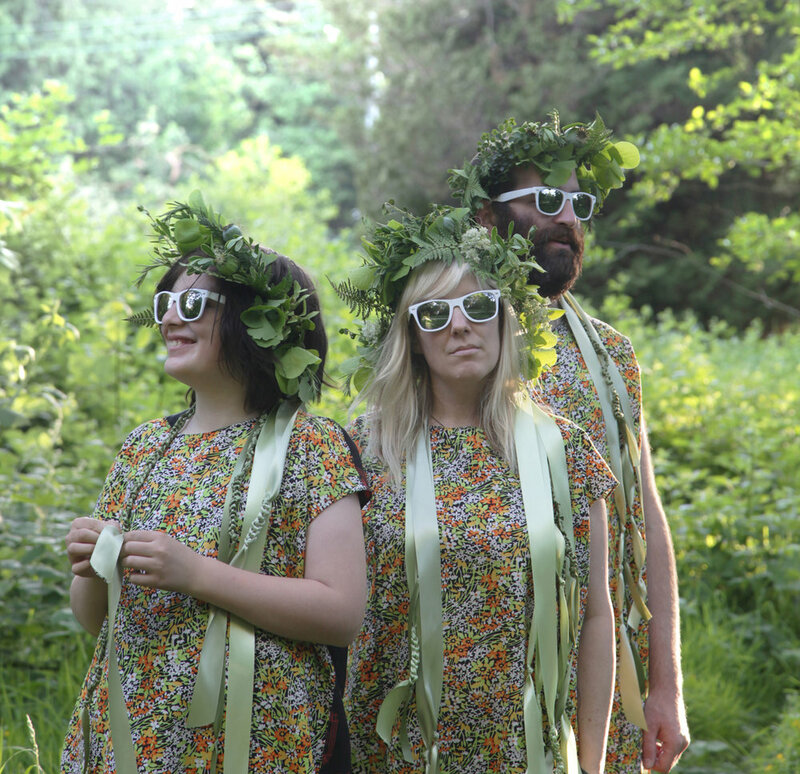 A Great Unbridgeable Distance will be a series of nightly durational-performance meditations in garden spaces in Bellevue Downtown Park, guided by a trans-disciplinary cohort of guides brought together and costumed by artist Mandy Greer and Fallow Collective. Anyone is invited to assemble around the rough-hewn elm tables, and rest on the communally hand-woven indigo rugs, in this space held for contemplation and learning through hand-work. Together we’ll seek for a sense of place and history in our internal and external landscapes, making peace with our darkness both personally and societally, and pay homage to remembrances of the sweetness of life and the hard work of turning to the light. Over the course of 10 evenings, a non-linear narrative of loss, regret, shame, and also of resiliency, wonder and resistance will be woven together for those who come to participate in any way they desire. Through simple but poetic shared meaningful experiences, all who gather will be guided towards bridging the distances between ourselves and our other companions on this earth. Mandy Greer is a multidisciplinary artist working in a symbiotic way with fiber-based installation, photography/film, performance, social and environmental interactivity and knowledge-sharing. She is inspired to challenge and blend the boundaries between these ways of making, particularly the boundaries between performer/artist and audience, and between process and final product. Her work has been shown nationally and internationally, and she has been received many awards including the Louis Comfort Tiffany Foundation Award, the Artist Trust Fellowship, GAP grant, City Artists Grant, 4Culture Individual Artists Grant and the New Foundation Residency Award.